In January 2003, some researchers at MIT bought 158 used, random disk drives from an online store and found that 60% of them had data still in tact. Additionally, these same researchers found 5,000 credit card numbers on these disks. When you decommission a system, you have to do something about the data on that system. It’s not a good idea to just power down an old system and give it away, or sell it on eBay. You need to ensure that all sensitive data cannot be accessed. Destroying your Data – Permanently. Eboxlab ensures that your confidential information remains confidential by destroying it permanently. 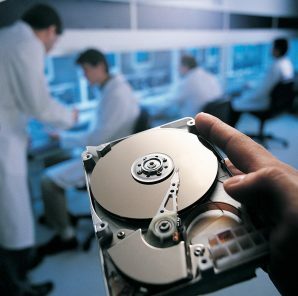 After being crushed by Eboxlab, Data Destruction Service, the data can never be recovered again. It is much simpler and faster to use the Data Destruction Service, by Eboxlab than it is to reformat a disk or use a degausser. Furthermore, it has been proven that degaussers don’t always work. New disks have such strong shielding that the magnetic oersteds (Oe) used to destroy the data can only achieve a high enough field intensity to destroy the read-write arm. 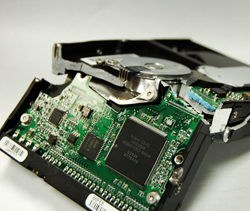 Therefore, it’s often possible to remove the platters, put them in new disk housing with a new read-write arm, and read the data that you thought you had destroyed. Unfortunately, due to new disk shielding technologies, degaussers have become unreliable. In the event that a military or intelligence agency needs to evacuate a facility in an emergency due to an impending hostile attack, the Hard Disk Crusher can be used to destroy sensitive information in record time. No embassy or defense installation that has the possibility of unfriendly take over should be without a Data Destruction Service, by Eboxlab. All commercial organization that needs to protect sensitive information can benefit by using the Data Destruction Service, by Eboxlab. The cost of one Data Destruction Service, by Eboxlab could potentially save you millions of dollars in lawsuits or privacy compliance penalties. Data is stored in magnetic media, such as hard drives, floppy disks and magnetic tape, by making very small areas called magnetic domains change their magnetic alignment to be in the direction of an applied magnetic field. This phenomenon occurs in much the same way a compass needle points in the direction of the earth’s magnetic field. Degaussing, commonly called erasure, leaves the domains in random patterns with no preference to orientation, thereby rendering previous data unrecoverable. There are some domains whose magnetic alignment is not randomized after degaussing. The information these domains represent is commonly called magnetic remanence since it is due to remanent magnetization. Proper degaussing will ensure there is insufficient magnetic remanence to reconstruct the data. Erasure via degaussing may be accomplished in two ways: in AC erasure, the media is degaussed by applying an alternating field that is reduced in amplitude over time from an initial high value (i.e., AC powered); in DC erasure, the media is saturated by applying a unidirectional field (i.e., DC powered or by employing a permanent magnet). A degausser is a device that can generate a magnetic field for degaussing magnetic storage media. Eboxlab, LLC is a registered Dun & Bradstreet company, and is also a part of the Government Contractor Registry. We provide our services worldwide to Fortune 500 companies, government agencies, every branch of the military, defense contractors, law firms, health care facilities, major universities. More About DoD 5220.22-M The DoD 5220.22-M sanitization method was originally defined by the US National Industrial Security Program (NISP) in the National Industrial Security Program Operating Manual (NISPOM) located here (PDF) and is one of the most common sanitization methods used in data destruction software. Most data destruction programs support multiple data sanitization methods in addition to DoD 5220.22-M.